What is ELF? ELF (Executable and Linking Format) is file formatthat defines how an object file is composed and organized. With thisinformation, your kernel and the binary loader know how to loadthe file, where to look for the code, where to look the initializeddata, which shared library that needs to be loaded and so on. Relocatable file: an object file that holds code and data suitable for linking with other object files to create an executable or a shared object file. In other word, you can say that relocatable file is a foundation for creating executables and libraries. That will produce test.o, which is a relocatable file. Kernel module (either suffixed with .o or .ko) is also a form of relocatable file. Executable file: object file that holds a program suitable for execution. Yes, that means, your XMMS mp3 player, your vcd software player, even your text editor are all ELF executable files. After you make sure the executable bit of "test" is enabled, you can execute it. The question is, what about shell script? Shell script is NOT ELF executable, but the interpreter IS. The link editor may process it with other relocatable and shared shared object file to create another object file. The dynamic linker combines it with an executable file and other shared objects to create a process image. In simple words, these are the files that you usually see with suffix .so (normally located inside /usr/lib on most Linux installation). "File" command works too for object file identification, but I won't discuss it further. Let's focus on readelf and objdump, since we will use both of them. What does this header tell us? This executable is created for Intel x86 32 bit architecture ("machine" and "class" fields). When executed, program will start running from virtual address 0x80482c0 (see entry point address). The "0x" prefix here means it is a hexadecimal number. This address doesn't point to our main() procedure, but to a procedure named _start. Never felt you had created such thing? Of course you don't. _start procedure is created by the linker whose purpose is to initialize your program. This program has a total of 28 sections and 7 segments. What is section? Section is an area in the object file that contains information which is useful for linking: program's code, program's data (variables, array, string), relocation information and other. So, in each area, several information is grouped and it has a distinct meaning: code section only hold code, data section only holds initialized or non-initialized data, etc. Section Header Table (SHT) tells us exactly what sections the ELF object has, but at least by looking on "Number of section headers" field above, you can tell that "test" contains 28 sections. If section has meaning for the binary, our Linux kernel doesn't see it the same way. The Linux kernel prepares several VMA (virtual memory area) that contains virtually contigous page frames. Inside these VMA, one or more sections are mapped. Each VMA in this case represents an ELF segment. How the kernel knows which section goes to which segment? This is the function of Program Header Table(PHT). Figure 1. ELF structure in two different point of view. B. Examining Section Header Table(SHT). .data section hold all the initialized variable inside the program which doesn't live inside the stack. "Initialized" here means it is given an initial value like we did on "global_data". How about "local_data"? No, local_data's value isn't in .data since it lives on process's stack. One thing that we can conclude so far is that objdump kindly does address-to-symbol transformation for us. Without looking into symbol table, we know that 0x08049424 is the address of global_data. There, we clearly see that it is initialized with 4. Please note that common executables installed by most Linux distribution has been striped out, thus there is no entry in its symbol table. It makes objdump difficult to interpret the addresses. "Value" denotes the address of the symbol. For example, if an instruction refers to this address (e.g: pushl 0x80495fc), that means it refers to global_data. Printf() is treated differently, since it is a symbol that refers to an external function. Remember that printf is defined in glibc, not inside our program. Later, I will explain how our program calls printf. C. Examining Program Header Table(PHT). Note:I add numbers on the left of each PHT entries to make the reader easier to study the section to segment mapping. The mapping is quite straightforward. For example, inside segment number 02, there are 15 sections mapped. .text section is mapped in this segment. Its flags are R and E, which means it is Readable and Executable. If you see W in segment's flag, that means it is writable. By looking on "VirtAddr" column, we can discover the virtual start address of each segment. Back to the segment number #2, the start address is 0x08048000. Later in this section, we will discover that this address isn't the real address of the segment on memory. You can ignore the PhysAddr, because in Linux always operate in protected mode (on Intel/AMD 32 bit and 64 bit) thus virtual address is the thing that matters. LOAD: The segment's content is loaded from the executable file. "Offset" denotes the offset of the file where the kernel should start reading the file's content. "FileSiz" tells us how many bytes must be read from the file. For example,segment #2 is actually the content of the file starting from offset 0 to 4fc (offset+filesiz). To speed up the execution, the file's content is read on demand, thus it is only read from the disk if it is referenced at runtime. STACK : The segment is stack area. Interesting to see that all the fields except "Flg" and "Align" are given 0. Is it an error? No, it is valid. It is the kernel's job to decide where the stack segment starts from and how big it is. Remember that on Intel compatible processor, stack grows downward (address is decremented each time a value is pushed). Courious to see the real layout of process segment? We can use /proc/<pid>/maps file to reveal it. <pid> is the PID of the process we want to observe. Before we move on, we have a small problem here. Our test program runs so fast that it ends before we can even dump the related /proc entry. I use gdb to solve this. You can use another trick such as inserting sleep() before it calls return(). Note: I add number on each line as reference. So, in total, we see 12 segment (also known as Virtual Memory Area--VMA). Focus on the first and the last field. First field denotes VMA address range, while last field shows the backing file. Do you see the similarity between VMA #8 and segment #02 listed in PHT? The difference is, SHT said it is ended on 0x080484fc, but on VMA #8, we see that it ends on 0x08049000. Same thing happens between VMA #9 and segment #03; SHT said it starts at 0x080494fc, while the VMA starts at 0x0804900. Even though the VMA started on different address, the related sections are still mapped on exact virtual address. The kernel allocate memory on per page basis and the page size is 4KB. Thus, every page address is actually a multiple of 4KB e.g: 0x1000, 0x2000 and so on. So, for the first page of VMA #9, the page's address is 0x0804900. Or technically speaking, the address of the segment is rounded down (aligned) to the nearest page boundary. Last, which one is the stack? That is VMA #11. Usually, the kernel allocate several pages dynamically and map to the highest virtual address possible in user space to form stack area. Simply speaking, each process address space is divided into two part (this assume Intel compatible 32 bit processor): user space and kernel space. User space is in 0x00000000-0xc0000000 range, while kernel space starts on 0xc0000000 onwards. D. How a function is referenced? If a program calls a function that resides within its own executable, all it has to do is simple: just call the procedure. But what happens if it calls something like printf() that is defined inside glibc shared library? Here, I won't discuss deeply about how the dynamic linker really works, but I focus on how the calling mechanism is implemented inside the executable itself. With this assumption in mind, let's continue. It made a jump to relevant entry in PLT (Procedure Linkage Table). In PLT, there is another jump to an address mentioned in related entry in GOT (Global Offset Table). If this is the first the function is called, follow step #4. If this isn't, follow step #5. The related GOT entry contains an address that points back to next instruction in PLT. Program will jump to this address and then calls the dynamic linker to resolve the function's address. If the function is found, its address is put in related GOT entry and then the function itself is executed. So, another time the function is called, GOT already holds its address and PLT can jump directly to the address. This procedure is called lazy binding; all external symbols are not resolved until the time it is really needed (in this case, when a function is called). Jump to step #6. Jump to the address mentioned in GOT. It is the address of the function thus PLT is no longer used. Execution of the function is finished. Jump back to the next instruction in the main program. Bingo! We have "080482b6" here. In other word, we go back to PLT and there we eventually jump another address. This is where the work of the dynamic linker is started, so we will skip it. Assuming the dynamic linker has finished its magic work, the related GOT entry now holds the address of printf(). E. Alternative tool to inspect ELF structure. Besides counting on readelf and objdump, there is another tool called Biew. This is actually a file viewer but it is capable to parse the ELF structure.. You can grab the source from http://biew.sourceforge.net/ and compile it by yourself. Usually biew is included in hacking oriented Linux Live CD such as Phlak. Refer to the website and the packaged documents on how to compile and install Biew. I personally like Biew because it offers curses based GUI display. Navigation between sections, checking ELF header, listing symbols and other tasks are now just a matter of pressing certain keyboard shortcut and you're done. Press Ctrl+A followed by F7 to view symbol table. To avoid wasting time traversing the table, press again F7 to open "Find string" menu. Type "main" and press Enter. Once the highlighted entry is what you're looking for, simply press Enter and Biew will jump to the address of main(). Don't forget to switch to the disassembler mode (press F2 to select it) so you can see the high level interpretation of the opcodes. Since we usually refer to virtual address, not file offset, it is better to switch to virtual address view. Press Ctrl+C followed by F6 and select "Local". Now, what you see in the leftmost column is the virtual address. This article is just an overview on how to study ELF structure. Using readelf and objdump, you are ready to take your first journey. If needed, tool like Biew can help you to explore the binary internal faster. Use any arsenal you have, be creative and practice it regularly, then soon you can master the technique. Happy exploring. Two good ELF introductory articles written by Eric Youngdale. Explanation about ELF from Wikipedia. From there, you can find links to another useful documents. The document that completely explain all about ELF structure. Study this document after reading this article to gain complete insight about ELF. A tool to do ELF binary inspection and manipulation. Pretty useful for reverse engineering too. It has scripting feature so you can automate most of your work. In the website, there are many documents that explains various ELF hacking. 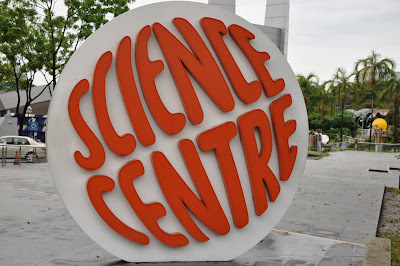 Here is Science Center near Jurong East central. Many kids enjoy their lives with patrents there.